All roads will lead to Cahir next weekend for Cahir Trad Fest 2018; this three day event will run from Friday 14th – Sunday 16th and promises to be a very enjoyable cultural experience. Friday sees the Launch of the Festival at 7.30pm in Cahir House Hotel followed by a Concert featuring the best of Traditional music, song and dance displayed by leading performers. Tickets are on sale at Cahir House Hotel reception for €10 pp with children free when accompanied. Saturday Workshops on all traditional instruments and singing take place in both primary schools in Cahir from 10am-1pm. We have excellent tutors on board to deliver top tuition to all students taking part. 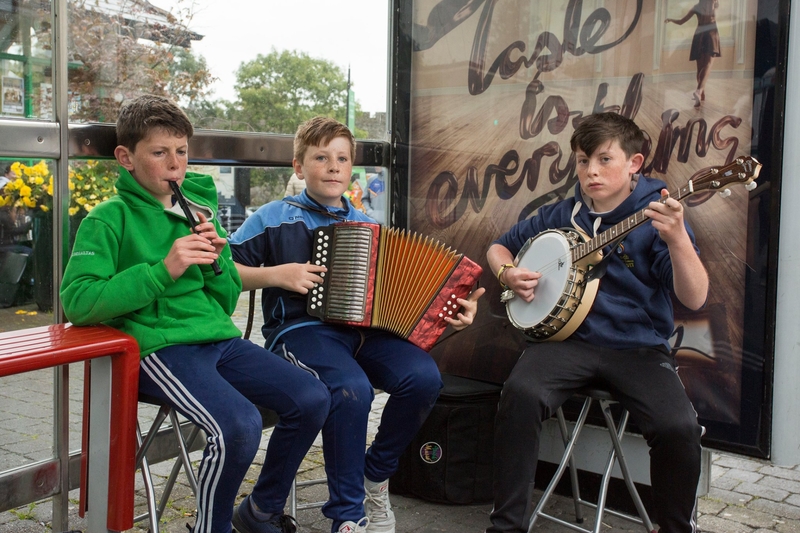 These are followed by afternoon street session competitions and a recital by each performing group on the square in Cahir. Evening and night pub sessions will take place all around town; see the flyer for details of trad trail on display in all pubs. Sunday traditional music will be played at the 11.30 am mass in St. Marys Church Cahir. There will be an after lunch session with tutors and visiting musicians followed by a recital in Cahir House Hotel at 5pm and a farewell session in the Abbey Tavern at 8.30pm. This promises to be an action packed weekend all hosted by Cahir Comhaltas Trad Fest Committee. Get your dancing shoes on!